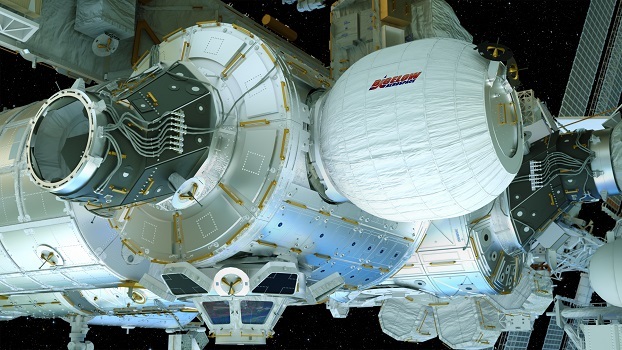 The Bigelow Expandable Activity Module - manufactured by Bigelow Aerospace - is an experimental, inflatable module. Launched into space aboard SpaceX Dragon CRS-8 in April 2016, it was berthed to NOD3 aft on April 16th 2016 using the station's robotic arm. The first inflation attempt was started on May 26th 2016, but was aborted due to abnormal behaviour of the module during the inflation process. A second attempt was started on May 28th 2016, and completed successfully that same day. Operation of the BEAM deployment controller was performed by NASA astronaut Jeffrey N. Williams. 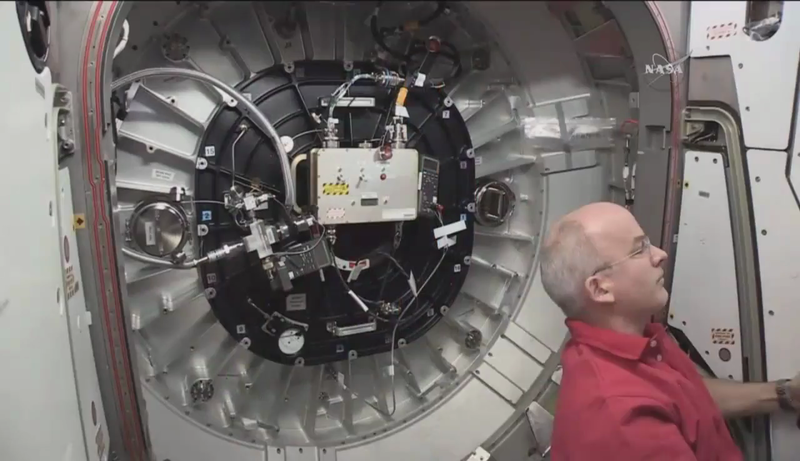 During its two-year testing mission aboard the ISS, BEAM's hatch will remain closed. The crew will perform maintenance tasks and schientific work only a few times per year. Results from the scientific payload aboard BEAM will be used to determine the performance and capability of expandable habitats, possibly providing new insights for future, long-range space travel habitat development. Following the two-year testing period, BEAM will be jettisoned from the station and left to disintegrate upon re-entry into denser atmosphere. May 28th 2016 (Expedition 47). CGI render of the fully inflated module attached to NOD3 aft.